LiquiGlide/Forest City Management - Hereva Consultants Inc. 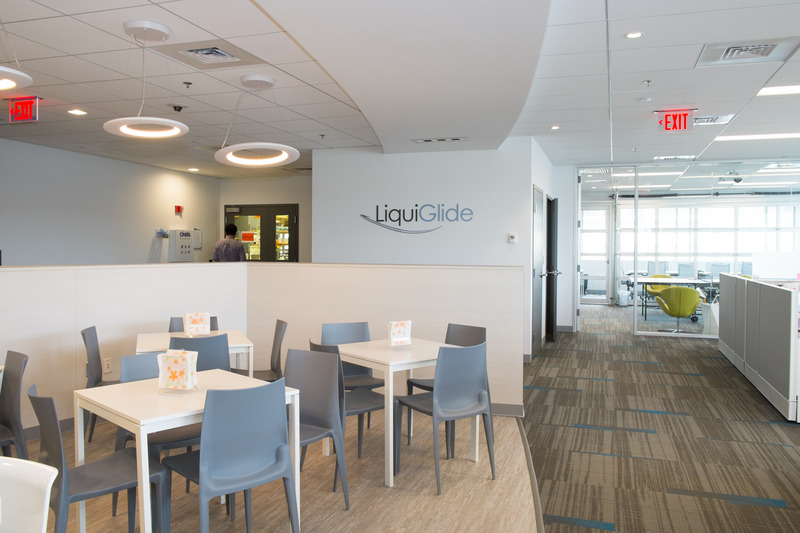 Since 2012, LiquiGlide has experienced significant product success and immediate growth, outgrowing their two existing spaces and requiring new space by 2014. 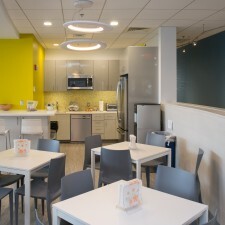 They decided to consolidate into one location at 75 Sidney Street in Cambridge, MA. 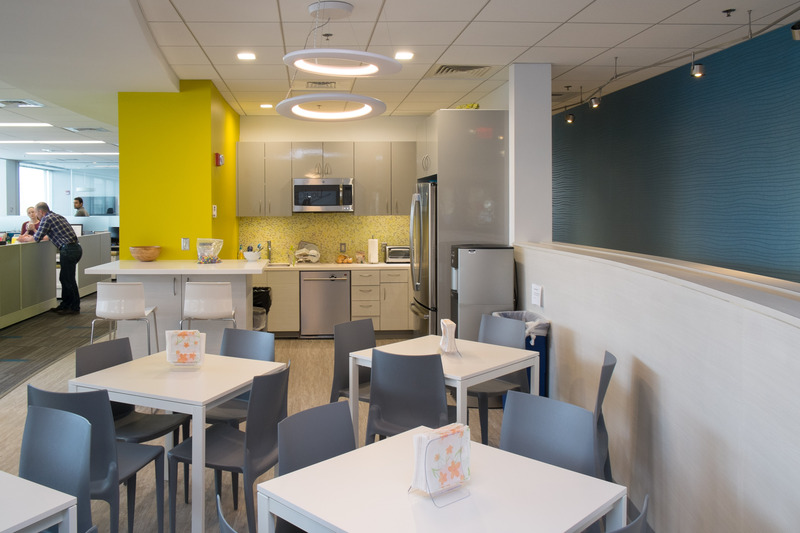 An existing chemistry lab and office space was prepared for them by Forest City Management with a renovation of the lab areas and a total demo/refit of office space. 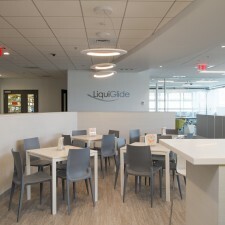 The fast tracked renovation project started in October 2014 and LiquiGlide moved in approximately 30 people and chemistry labs by February 2015. 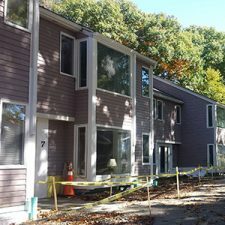 This timeline included all design and construction. 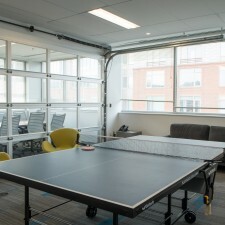 Logistics were further restricted by the common area construction in the building which affected all public areas and the loading dock, making site access a challenge. 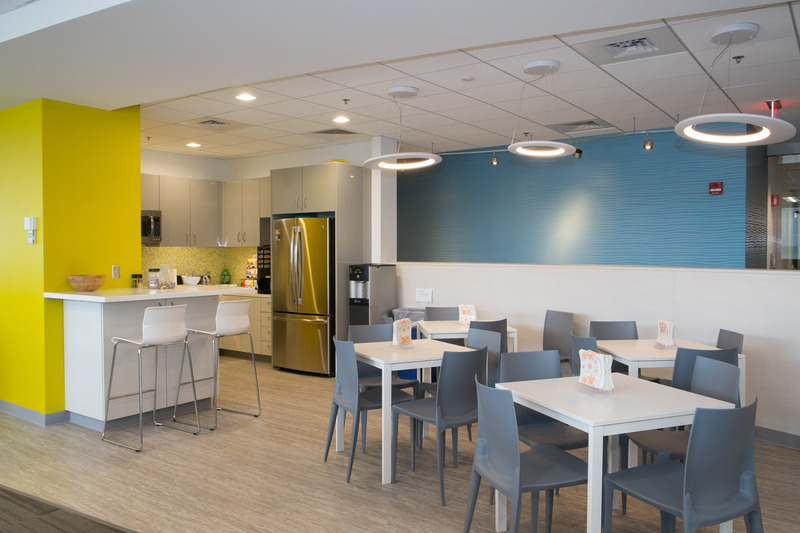 The full demo and build out of the office areas needed a new look and feel, including increased collaboration and employee amenity spaces. 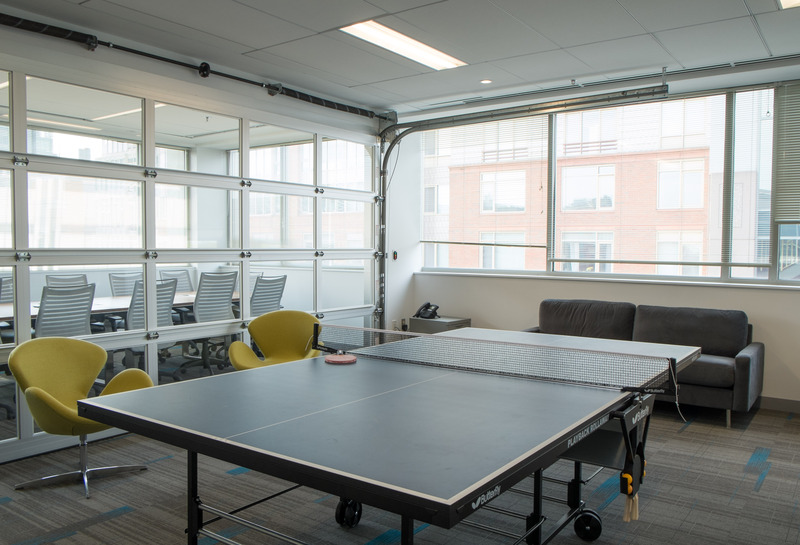 New open plan furniture, conference space and such amenities as a central employee hub with curved planting areas and café tables made the space feel open and modern. 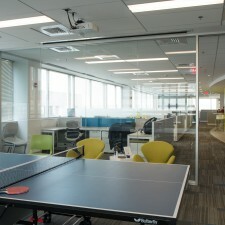 The lab renovations used the existing mechanical infrastructure, benches and cabinetry, and even some equipment. 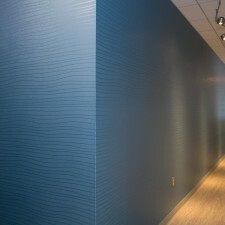 Forest City provided a turnkey solution to LiquiGlide, collaborating with the tenant’s own interior designer. 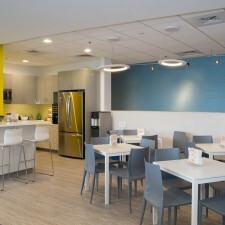 Hereva acted as representatives to both organizations throughout this complex build out project. 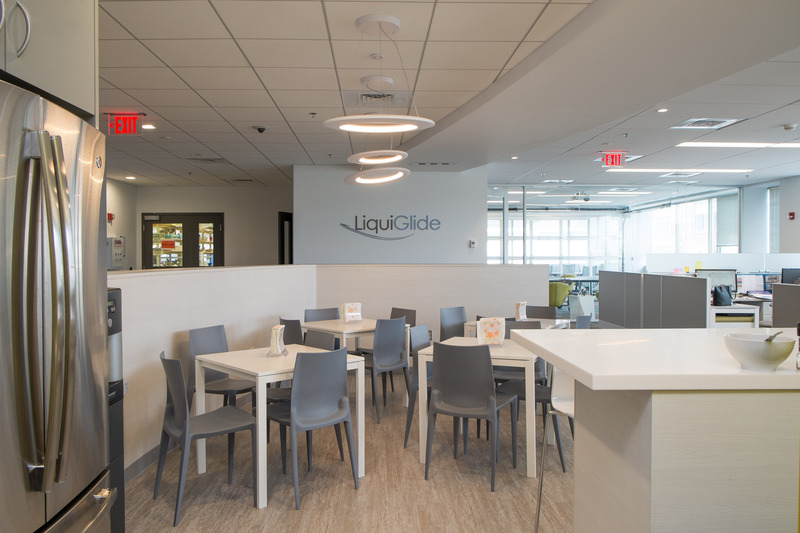 The first company to create permanently wet, slippery surfaces, LiquiGlide Inc. revolutionizes the way people and businesses move liquids by eliminating friction between liquids and solids. 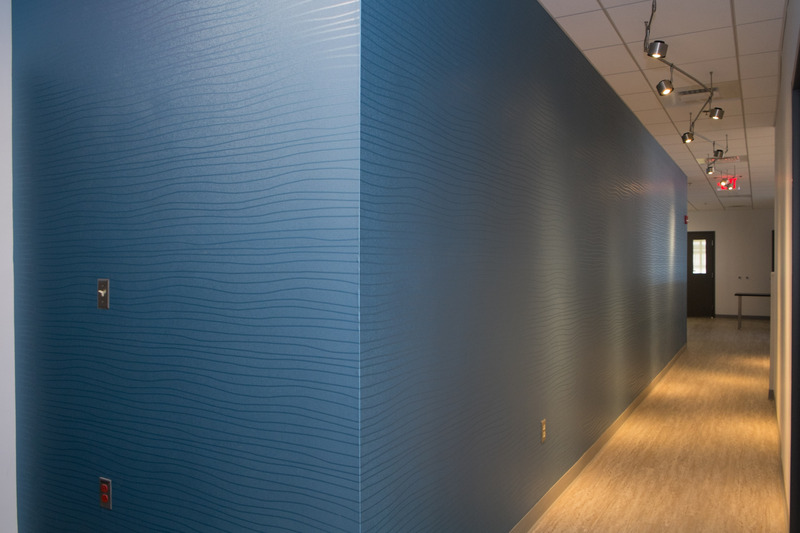 From reducing waste in manufacturing, to better packaging for consumer goods, to improving oil and gas infrastructure, LiquiGlide delivers coatings that work and are safe across a myriad of consumer and industrial applications. 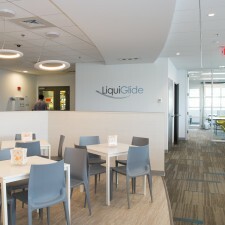 LiquiGlide was founded in 2012 by Dave Smith and Massachusetts Institute of Technology (MIT) professor Kripa Varanasi to commercialize MIT’s patented liquid-impregnated surface technology. 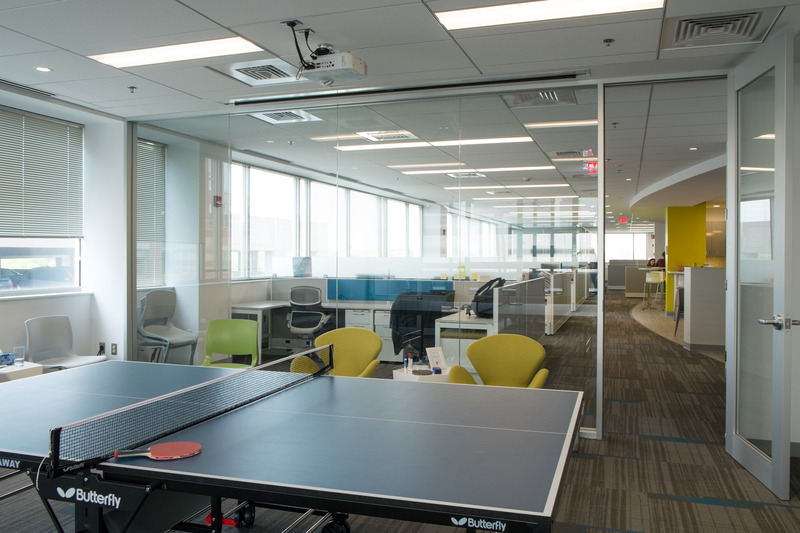 The patents are licensed exclusively to LiquiGlide from MIT and include 13 issued patents with more than 150 applications pending around the world. 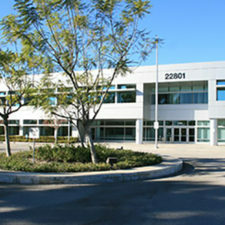 Forest City Realty Trust, Inc. is an NYSE-listed national real estate company with $8.2 billion in consolidated assets. 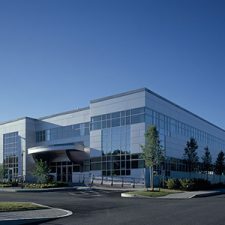 The company is principally engaged in the ownership, development, management and acquisition of commercial and residential real estate throughout the United States.